Client Center tool is designed for IT Professionals to troubleshoot SCCM/CM12 Client related Issues. 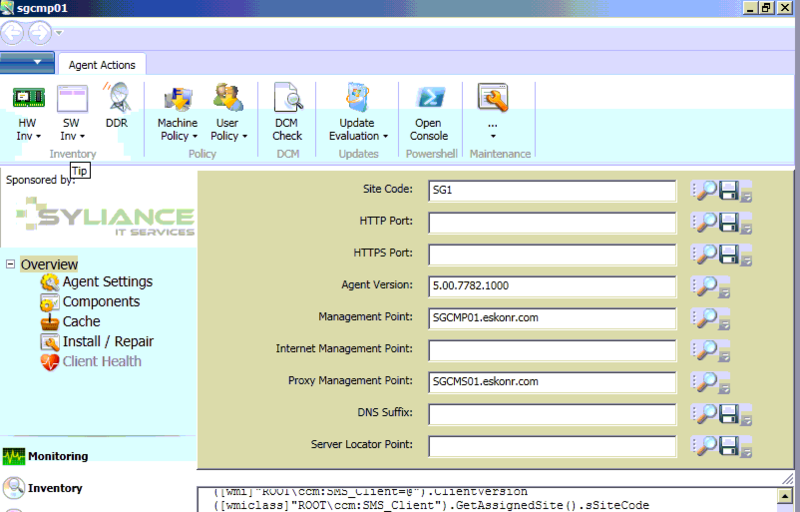 The Client Center for Configuration Manager provides a quick and easy overview of client settings, including running services and Agent settings in a good easy to use, user interface. when you try to install this app, It always connects to Internet to install the app else will Fail. How to use this application without connecting to Internet ? On the Computer where you installed the click once application,files resides on the below path. Go to the computer where the application is installed and look for this path. Create Shortcut for SCCMCliCtrWPF.exe and use it. P.S:Red indicates they are replaced.